Alcorn McBride’s Binloops are the best synchronized A/V players on the market. 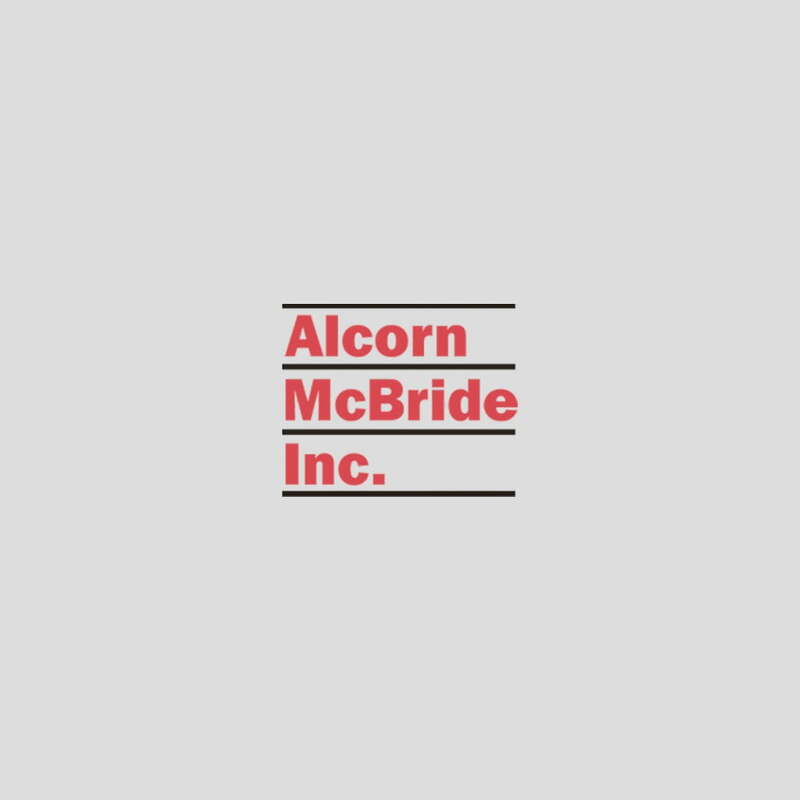 OK, that’s quite a claim, and yes, I am an Alcorn McBride employee. So saying “Alcorn McBride has the best synchronized video players on the market” may sound a little like “my son is the best football player on the team” (well, he is quite talented). “Proud parent” boasting? Yes. Marketing hype? Perhaps a little. BUT, this is a claim I can back up with sound engineering practices. And since I am not an engineer, let’s turn to an expert who is. and has touched every video product we make. He’s even written articles about video synchronization. (Click HERE for the must read A/V Synchronization Explained). And of course, he’s a highly skilled Engineer. So if you don’t want to take my word for it, you should listen to his and decide for yourself. Having been involved with synchronized A/V applications since our inception in 1986, Alcorn McBride always makes the core concepts of synchronized A/V a top priority in our hardware and software designs. Many of our A/V playback devices are capable of locking to an external sync reference, and also capable of having consistent reaction times. Locking to an external reference prevents these players from drifting from each other and the control system timing. All of the key concepts involved in ensuring perfect synchronization between multiple playback devices are addressed by the unique design of our Binloop systems. [Click here to read about the key A/V Synchronization Concepts] All Binloop products internally share the high-frequency clocks required to ensure perfect synchronization between audio and video channels. The control challenges are also addressed by the Binloop’s internal control architecture, ensuring that all channels receive the necessary commands with ideal precision. 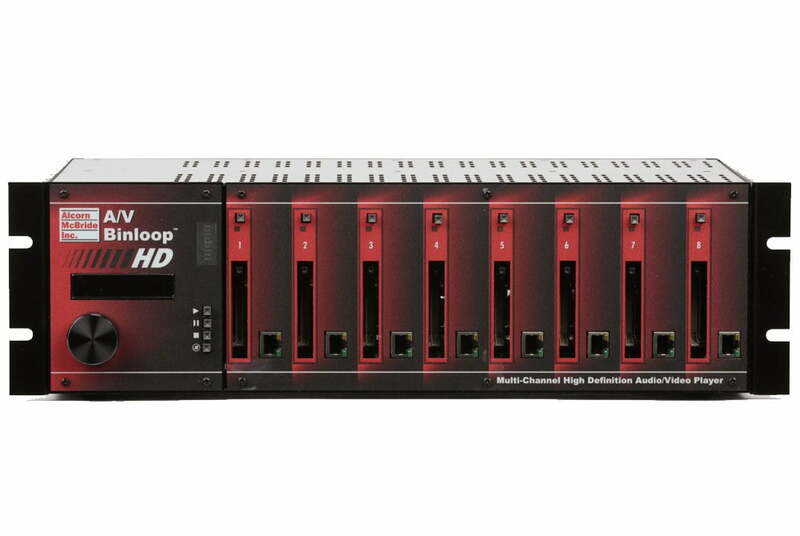 With these enhancements, our Binloop products can synchronize up to 32-channels of audio (sample accurate), 16-channels of Standard-Definition video (frame-accurate), and 8-channels of HD video (frame-accurate) without any need for an external sync source or control system. Multiple Binloop products can easily be combined to achieve more audio and video channels. The Binloop is truly the most elegant and easy-to-use synchronized A/V solution available on the market. Thanks Scott! You’ll find that most other products on the market use network synchronization. Network synchronized players periodically monitor other devices’ playback position to make sure they are running in sync. This reactionary method attempts to snap things back together when the network detects a drift. We know that is not the way to achieve fail-proof synchronization. Truly synchronized video will not drift. Period. That’s why the largest Theme Parks and Museums in the world think Alcorn McBride players are the best and most reliable systems. It’s not just me! Oh, and if while reading this you thought “what the heck does Binloop mean?” here’s a one minute Ask Alcorn Video with the answer: Origin of the Binloop name.